Car Rams Into a Living room in Kenya. 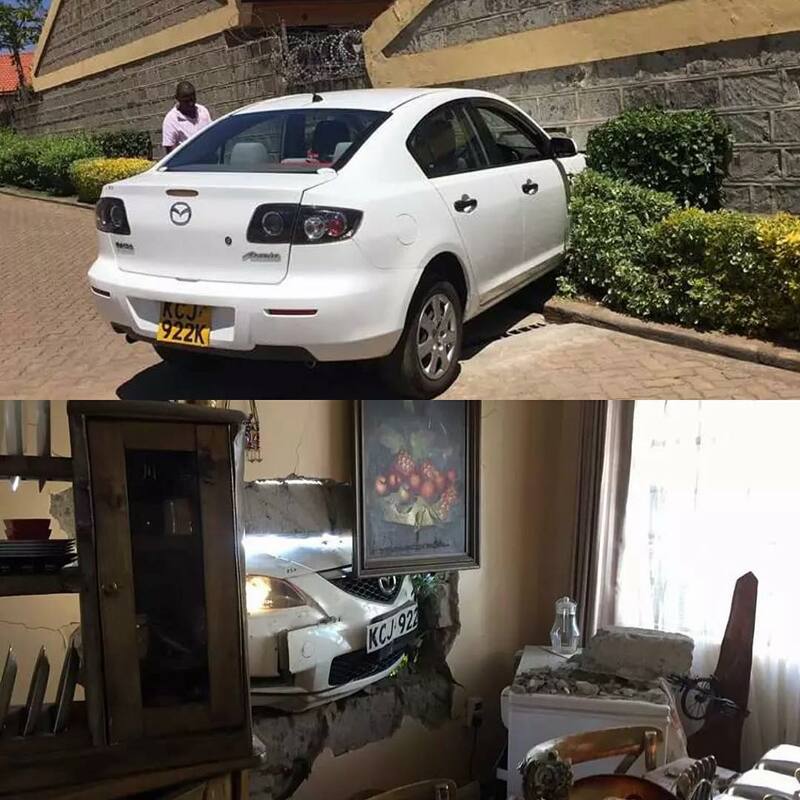 A white Mazda was seen to have crashed into a living room in Kenya. The weird car crash happened at a posh estate called Banana in Kiambu county. The driver was said to have lost control and it crashed into the residential house, but luckily, no lives were lost.